Prime Minister, Tuilaepa Sa’ilele Malielegaoi’s reaction to the growing instances of interschool violence, which has led to the temporary closure of Avele College, is all so typical, isn’t it? It goes back to what this column has been saying for some time now. We are referring to the fact that our people generally welcome and embrace most things palagi except when it comes to things that make us look bad. Then we suddenly play the Samoa vs palagi card. Tuilaepa’s comments are a classic example. To be brutally frank; it’s arrogant at best and it borders on racism at worst. It speaks of an inherit trait to pass the blame, totally ignoring responsibility and refusing to own up to the problems of today. For the uninitiated, on Sunday, Tuilaepa attributed the growing problem of interschool violence to Samoa’s decision to adopt a number of international conventions giving children more freedom and rights. Tuilaepa did not name a particular convention by the way. Maybe he should have so we can be absolutely clear. 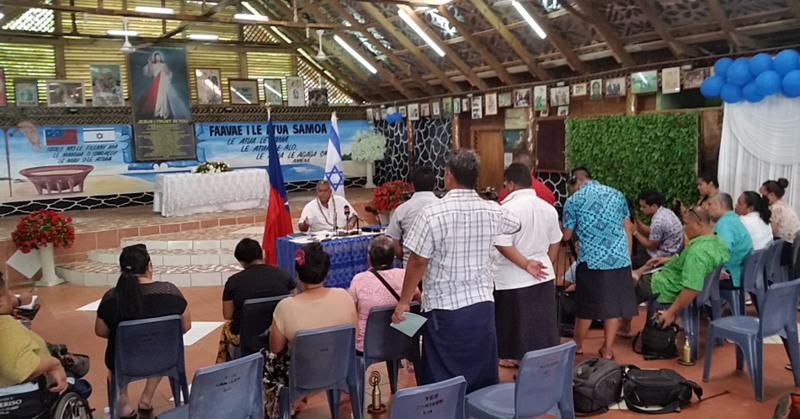 In any case, according to the Prime Minister, these conventions – whatever they are - contradict the teachings of the Holy Bible, which he said should be strictly adhered to by all Samoans. “We can’t hide this from parents and the teachers that they can no longer control their children,” said Tuilaepa. We agree to an extent that the principle of sparing the rod and spoiling the child has its merits. Used sparingly and sensibly, it can help solve a lot of our problems today. We also accept the fact that some of these foreign country-driven conventions are contributing in a small way to differences of opinions between parents and children. These send out mixed messages so that the lines are often blurred between the roles, obligations and responsibilities of adults and children. But ladies and gentlemen, it is absolutely ludicrous to suggest that what’s happening in Samoa today is the result of these conventions. It is nonsense coming from the very leader of the same government who signed and ratified these conventions for Samoa to follow. In essence, by attacking these international conventions, Tuilaepa is shooting his government in the foot. Let me remind you that the ruling Human Rights Protection Party (H.R.P.P.) which Tuilaepa has gleefully lorded over during the past many years introduced a lot of these conventions to Samoa. They are still doing so today. So why is Tuilaepa blaming the world for the decisions of his government? Who is the fool here? The bottom line is this. The problems in Samoa today reflect a leadership that has been founding wanting. It reflects a leadership that has become so good at passing the buck and ignoring its responsibility to do the right thing. Some students are acting like thugs because that’s the sort of leadership they are seeing at the highest level. They see that all this talk about Biblical principles and Samoan culture is hypocritical since their leaders do the total opposite of what they say. Indeed, the students see the contradictions, they see the lies and they see the law being ignored with total abandon and they feel that they too could get away with it. So who is kidding whom here? Don’t get us wrong, we are not by any means advocating for the sort of behavior we are seeing today from some of these students. It is wrong and it should not be tolerated. But let’s be honest with ourselves here. How did we get to where we are today? Who is the genius who said that people can only emulate what they are seeing from their leaders? The point is that instead of coming up with such silly excuses and a lot of nonsense, Prime Minister Tuilaepa and his administration should really sit down and have a deep think about what is going on today. We have students behaving like thugs thinking they are above the law. Their behavior is a reflection of our society. Can you see the resemblance, looking at the climate in the political sphere and some of the developments in this country today? We have some leaders who should be prosecuted for instances of corrupt practices, collusion to defraud taxpayers and serious cases of abuse doing exactly the same? They act as if they are invincible.